This form can be used if you prefer to fax or mail in your order form. Enter your item number(s) in the space below, and the website will fill in the description and current price(s). Then, calculate the Shipping and Handling costs (and taxes if applicable) manually using the table(s) provided. Provide the remaining billing, shipping, and payment information needed to complete the order, and then fax or mail the form to PAR (see below for fax or mailing information). Caution — once you print and close the form, you will not be able to retrieve the item information. If you need to include more items, write them in the Additional Items section, and update the order subtotal. Enter your item numbers below, and the Quick Order Form will generate the item description and the price. Note: Item numbers consist of 4 digits plus a 2-letter suffix (e.g., 2237-TB). Click here to print this form, and then complete the rest by hand. This area is for you to hand-enter additional items and prices after you have printed your Quick Order Form. Canadian residents, add the applicable GST/HST rate for your area. Enter Promotional Code from special mailing (if applicable) and calculate. □ Dr. | □ Mr. | □ Ms. | □ Mrs.
*Tracking information will be provided via e-mail for U.S.A., Canada, and expedited international orders. 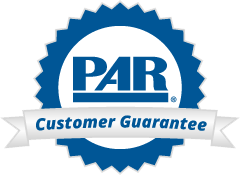 □ Check enclosed payable to PAR, Inc.
□ I accept responsibility for all shipping, handling, duty, and VAT charges for this order. Please call (1.800.331.8378 • 1.813.449.4065) for current pricing. or mail (PAR, Inc., 16204 N. Florida Ave., Lutz, FL 33549-8119). Orders placed Monday–Friday by 6 p.m. ET will ship the same day (except holidays). All other orders will ship the next business day. You will be notified of any unexpected delay.